Horizons encourages young students to continue their learning during the summer. The McLean Institute partnered with Horizons National to sponsor a summer learning program for public school students from Bramlett Elementary in Oxford. Horizons National is a network of high-quality academic enrichment programs serving eligible public school students on campuses of independent schools and colleges. Across the country, Horizons affiliates challenge children academically, socially and physically, inspiring them to become life-long learners. Beginning in Kindergarten, Horizons supports children and their parents throughout their elementary and secondary school years, building enduring learning communities. The same cohorts of students will have the opportunity to return to campus through eighth grade. Swimming is an important part of the Horizons curriculum. Learning to swim is an important life-saving skill and a great way to build confidence. The program came to the University of Mississippi with strong support from Dr. Stephen Monroe, Assistant Dean of the College of Liberal Arts. “Bringing Horizons to Mississippi has been a collaborative effort between the McLean Institute, the School of Education, the United Way, the Literacy Council, Bramlett Elementary, and the Oxford School District. This is a community initiative happening on the campus of our university, and we are thrilled with the results. Our children are learning to swim, having fun, and, most importantly, achieving significant summer learning gains,” Monroe said. 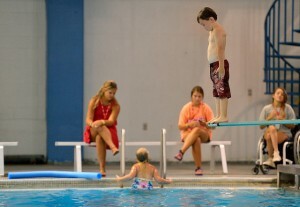 The University of Mississippi hosted 30 rising first and second graders for six weeks, offering academic programming, swimming lessons, art activities, and frequent field trips around campus. 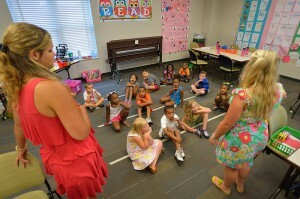 Academic programs were directed by teachers from Bramlett Elementary with support from University staff and volunteers. The program was coordinated by Brittany Galloway, a VISTA working with the North Mississippi VISTA Project and the North Panola School District. “It was really exciting to have the kids on campus this summer and to see how much fun they had while also learning and growing. I think our first year was very successful and I can’t wait to see how the program evolves,” said Galloway. Horizons was supported by members of College Corps, the North Mississippi VISTA Project, and the School of Education. Next year, the program will expand to include rising third graders. The program will eventually serve first through eighth grades. Horizons has decades of success working around the country to combat summer learning loss. Dr. Nylander, director of the McLean Institute, believes that the Horizons program provides an important service to the Oxford community. 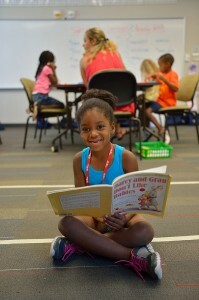 “The McLean Institute is committed to creating summer learning opportunities for children in Mississippi. Research shows that students typically experience learning losses during the summer when not engaged in educational activities. Additionally we know that some of the achievement gap between lower- and higher-income youth is explained by unequal access to summer learning opportunities. Horizons serves as part of the answer in addressing these challenges,” said Nylander. For more information, contact the McLean Institute here. Very few sites that happen to be in depth below, from our point of view are undoubtedly very well worth checking out. Amazing many of beneficial info. Please take a look at the sites we comply with, including this one, because it represents our picks in the web. Wonderful story, reckoned we could combine a handful of unrelated data, nonetheless genuinely worth taking a search, whoa did one find out about Mid East has got much more problerms too. Kudos, A good amount of postings.